Redmond, Wash., USA - October 31, 2018 - As more businesses around the world adopt Azure - including 95 percent of the Fortune 500 - Microsoft has introduced a powerful new solution to enhance the performance and security of its cloud. 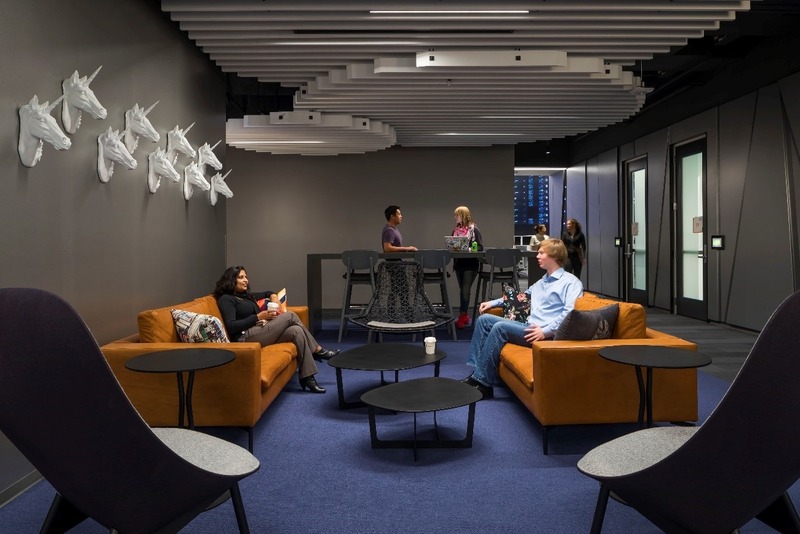 The Azure Cloud Collaboration Center (CCC) is a new, state-of-the-art, 8,000-square-foot facility on Microsoft's Redmond, Washington corporate campus. The centralized workspace allows engineering teams to come together to resolve operational issues and unexpected events that could impact customers. 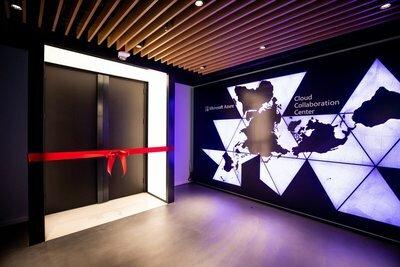 Microsoft unveils Azure Cloud Collaboration Center. We’re using the Cloud Collaboration Center to take a proactive approach to delivering responsiveness for our customers, who count on our cloud services in 140 countries and on all inhabited continents. The Azure Cloud Collaboration Center (CCC) is a new, state-of-the-art, 8,000-square-foot facility on Microsoft’s Redmond, Washington corporate campus. The centralized workspace allows engineering teams to come together to resolve operational issues and unexpected events that could impact customers. 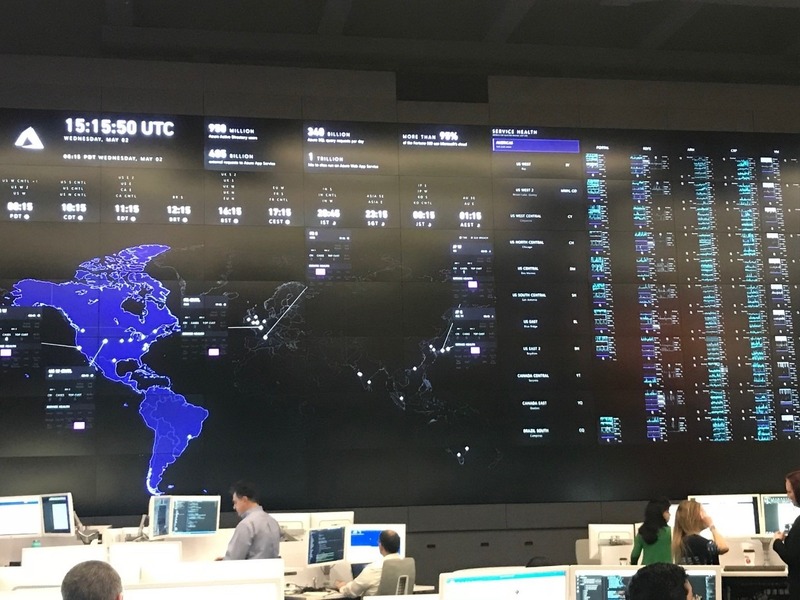 The first facility of its kind among major cloud providers, the CCC features a dramatic, 1,600-square-foot video wall that displays the real-time status of Azure, from internal processes and network infrastructure to the health status of customer services. At a glance, engineers can identify potential issues before they become problems — and quickly triage incidents when problems do occur. “A high priority for us in building this space was to enable faster problem resolution and proactive work to strengthen the Azure platform for our customers,” says Jason Zander, Executive Vice President, Microsoft Azure. He notes that the CCC was purpose-built for collaboration. Dynamic, customizable workspaces can be reconfigured for small or large groups. Cutting-edge visualization and Skype technology enable experts to be pulled into discussions, no matter where they are in the world. In addition, anything on the video wall can be viewed on a desktop for closer analysis and correlation of information. “The CCC provides a flexible workspace for engineers to spot potential problems and troubleshoot them in real time,” Zander says. Case in point: The CCC played a big part in the effort to make Azure compliant with the European Union’s General Data Protection Regulation (GDPR), the user privacy law that went into effect May 25. “The law had enormous implications for us,” says Lindsay Berg, director of product marketing for Azure. She notes one regulation dictating that, at a customer’s request, all their personal data must be immediately, verifiably removed from all systems. “That meant we had to go through every one of our 140 services for every way we touch customer data, so we can provide or delete it on request,” she says. It was a weeks-long effort involving Microsoft engineering teams around the globe, and it was driven through the CCC. Azure ended up GDPR compliant on schedule. “Without the CCC, it would have been harder to meet the deadline,” says Berg. Zander thinks this could be a template for the company moving forward. Already the space is hosting global hackathons, like a recent three-day Azure Support Hackathon. The event brought together 200 Azure program managers and engineers as well as Microsoft Customer Support Services (CSS) engineers. The goal: To foster a bigger, better community of employees working to improve Azure customers’ support experiences. “These Hackathons are vital in increasing the resiliency of the Microsoft cloud,” he says. A visitor gets a look at the Open Platform Compute wall, which showcases IoT devices that use open source data transfer standards for industrial automation. The CCC’s engineering workspace opened in November 2017, internal tours of the customer space began last spring and guided customer tours kicked off in July. Volkswagen and Microsoft partner to give drivers a connected, seamless ride. 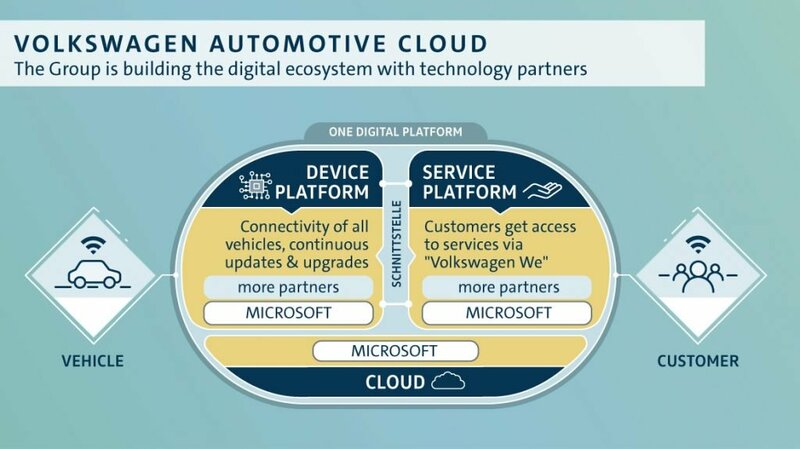 Customers like Volkswagen who visit the CCC can get up close and personal with the technology that powers Azure datacenters. Windowed displays showcase innovative chips and server racks, created in collaboration with the open source communities. “We’ve seen case after case of companies that have transformed their businesses with digital services made possible by IoT and the Microsoft cloud,” says Zander. Visitors also learn about Marea, the 4,000-mile-long subsea cable between Virginia and Spain that Microsoft built with Facebook and Telxius. Dubbed “the future of subsea cables,” Marea offers connection speeds 16 million times faster than the average home internet. 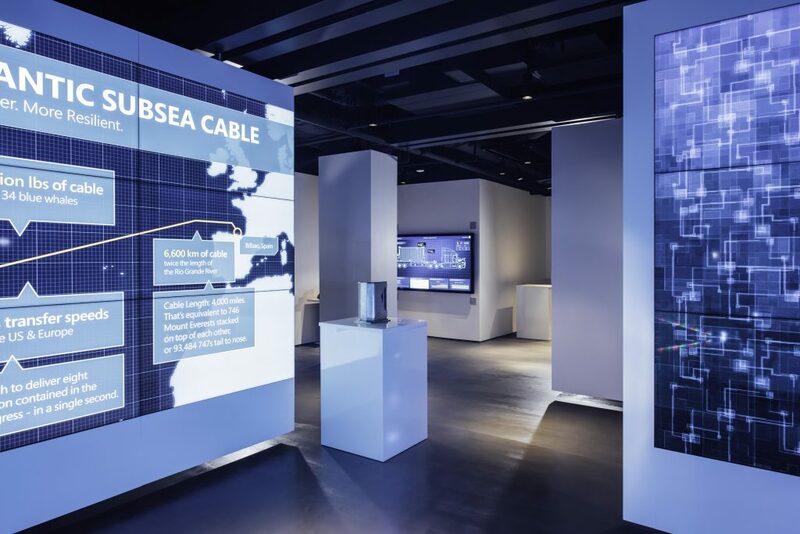 Marea: The future of subsea cables. Customers with sustainability goals will find resonance with Microsoft’s focus on renewable energy. The company has been 100 percent carbon neutral since 2012, and is the largest corporate purchaser of solar energy in the U.S.
By 2020, 60 percent of the energy in its datacenters will be from renewable resources. The tour culminates in a visit to the viewing gallery, called the Skybox, where customers get a 30,000-foot view of the CCC in operation. They look down on engineers collaborating, and the video wall streaming the massive amounts of data generated by Azure every second — on the status of Azure services, Microsoft infrastructure and network processes, and even customer health like tweets and support tickets (filtered for confidentiality). 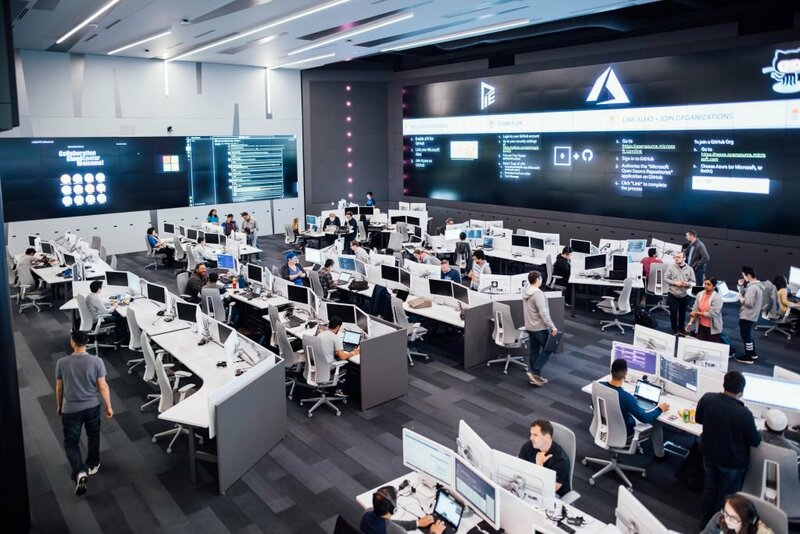 The Cloud Collaboration Center also uses industry-leading technology to bring together the many engineering teams from across Azure to optimize the quality of our cloud services and accelerate the resolution of any incidents.